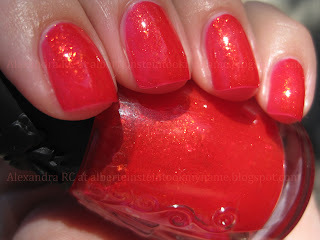 Although I don't own Deborah Lippmann Supermodel (edit: a friend of mine read this and sent me a bottle, isn't that great?) 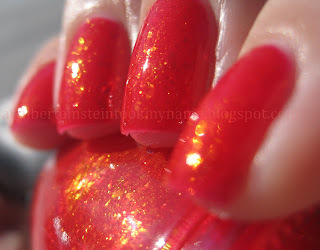 from the swatches I would say this is very close, of course this one has flakies, which is a nice addition. 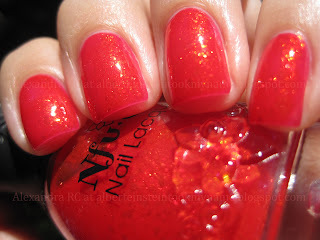 NFU Oh polishes are amazing! Thank you! This one does glow! Ooh dang.. I love this! Squishy, flakey and fabulous! @ ReecesPeeces: I wonder if it would look as squishy using Flakies Supermodel sandwich?